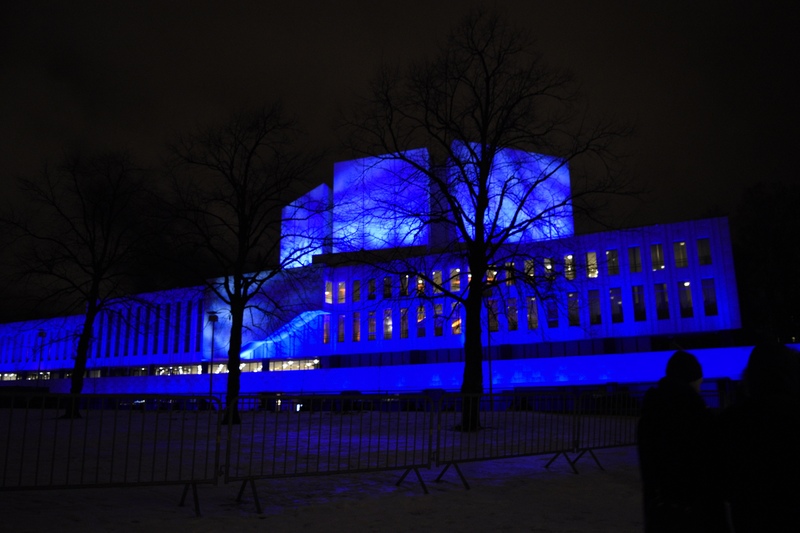 This year Lux Architecture series highlights the Finlandia Hall. The video and music created an enormous flowing water scene in the winter night to address the significant issue that water resources are exhaustible. The art work is created by Ramboll Valostudio. Every January, the most exciting winter arts activity, Lux Helsinki lights up different corners across the city. Each year, City of Helsinki chose different district to be the main focus for the annual light arts festival. It is brilliant to bring citizens and tourists to learn the dynamics in different areas of Helsinki. 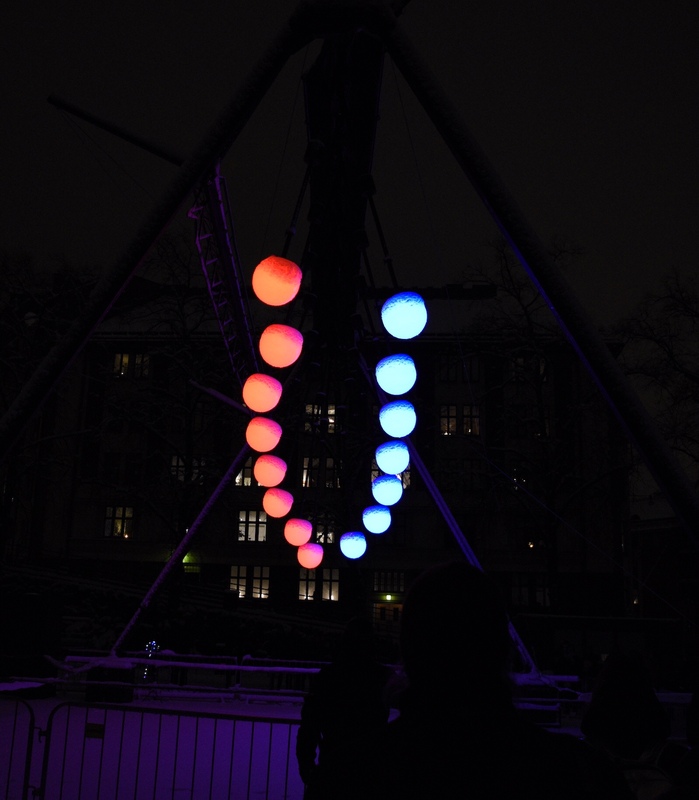 “Large Pendulum Wave” was created by Dutch light artist Ivo Schoofs. The pendulums are released altogether from one side to let them create motions based on gravity. My personal favorite art work this year was “Shelter Seekers” created by Mexican artist Ghiju Díaz de Léon, who transformed National Museum of Finland with her projecting mapping. She addressed that all the species are living through a tougher time to survive. This entry was posted in Events & Fairs, Life in Finland by Aalto Squad Member. Bookmark the permalink.